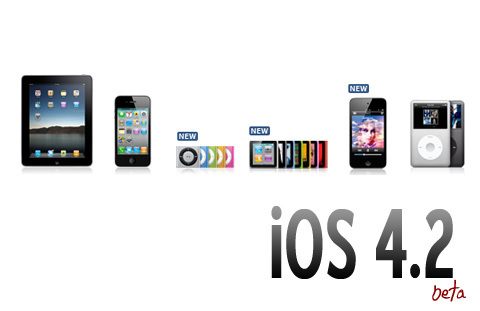 iOs 4.2 beta 3 for developers has just gone live on Apple.com and is already seeing some major downloads from developers and eager users alike. The update supports iPhone, iPad and iPod Touch and is an invitation for developers to test their apps and report any possible bugs and instabilities. The update also brings with it the required SDK and iTunes 10.1 beta 2. This obviously means that Apple’s musical social network Ping is also getting some updates and improvements to increase user activity. The new version is meant for developers only to test and help in developing the final official release and regular users might experience bugs and system failures which they might not be able to handle themselves. Download and install only if you’re tech savvy enough to deal with it or wait for the general release. Some of the updates reported in the media include lots of new wallpapers, more text tones and the option to turn off Game Centre friend requests. You can watch the video below to get a walkthrough of the 4.2 beta 3 update. Fastest Browser in the World, Chrome or Safari?